The lure of affiliate marketing is undeniable; who can resist passive income? But to make that passive income happen, you have got to put in some work first. To succeed in affiliate marketing, there are a number of crucial steps you must take before you earn that first affiliate profits. And these steps are, well … not passive. The good news is that if you’re determined to make this work and are willing to put in the time and effort, you’re already well on your way to affiliate marketing success. All the work you put in is to help you make your first affiliate marketing sale. There is nothing like a first sale to motivate you and make you keep at it. We've broken down the process into seven steps for affiliate marketing beginners. Following this guide will set you on the right course and have you earning your first commission in no time. Obviously, if you don't know what your site is about or who you're going to target with it, you can't really build a site around it...can you? If you don't quite know what your niche is yet, here's some advice that you might find useful. It's much easier to work on something if you're passionate about it. Plus, when you have a passion, you're usually quite knowledgeable about it too, so that definitely helps. For example if you have a passion about about makeup, your niche of choice might be makeup related, too. While following your passion is definitely the recommended option, sometimes the possibility of making money in a profitable niche trumps passion. So, you might not necessarily know much about your niche, but if it's likely to make you money, you can always learn more about it, right? MoneySavingExpert is a great example of a site with a topic for which you would have a never ending supply of content ideas. There are several profitable niches that are also very popular among affiliate markets (e.g., weight loss). Before jumping on board with a hugely popular niche, make sure there's enough room for you. That is — will you be able to make money and compete with already established marketers? If not, keep looking. The niche you choose might draw enough interest from your audience when it comes to reading and acquiring knowledge, but are they willing to buy relevant products too? Without consumer interest in products, your niche isn't going to make you much money. Do I Look for a Niche With Easy Keywords? How to Look for Other Products in a Niche? Once you've decided on a niche, it’s time to find out what’s out there in terms of programs and products to promote. You've probably already done a bit of research for this while researching your niche — now you need to dig deeper. What type of merchants use the program/ affiliate network? You want to make sure other similar sellers are also using the network, as this can help you gauge your likelihood of success with the particular program. How much commission are you likely to make from the products? If using ClickBank, products should have over a 50% commission (preferably 60%), and have a high gravity rating (meaning they’re in demand). For CPA (cost-per-action) programs, commissions should be over $1, and products shouldn't be overly restrictive in how you can promote them. For physical products, look for commissions over $40. Do you want to be associated with the products and services? Ads like the one below often lead to sketchy products — do you want to be associated with a product that promises results that may or may not be true? What kind of support does the program provide? Steps 1 and 2 are all about research and figuring out what's possible and profitable. Now, it's time to start putting your research into action. Assuming you don’t already have a website built, this will be the next step. Fortunately, building a site isn’t as complicated or labor-intensive as it was in the past. If you're a newbie to building sites, the easiest way to set up a site is by using WordPress. 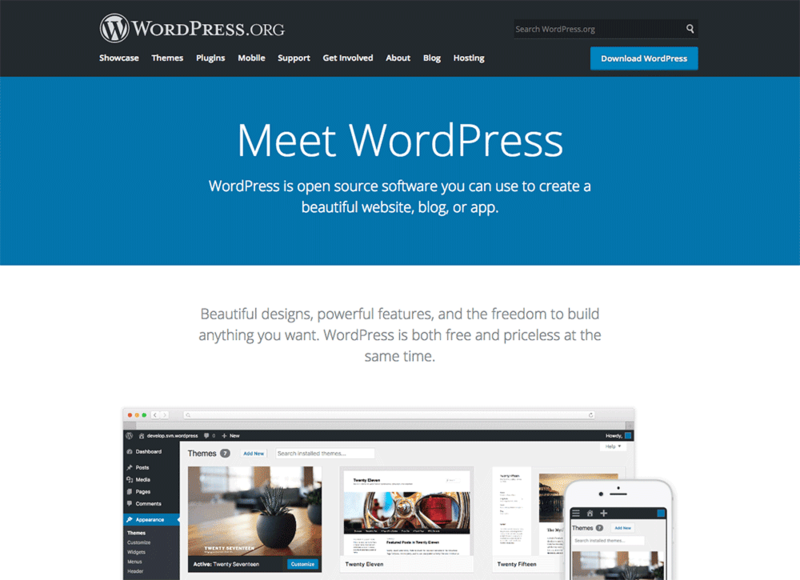 The WordPress CMS is very easy to use and while coding skills can come in handy, for the most part you will not require any tech knowledge to set up your site. There are several places you can buy a domain, including our very own Affilorama Domain service. Other well-known options are: GoDaddy and NameCheap. Purchase and set up hosting. If you purchase your domain and hosting from different companies, you will need to link the two together. Don't panic, it's a simple process. 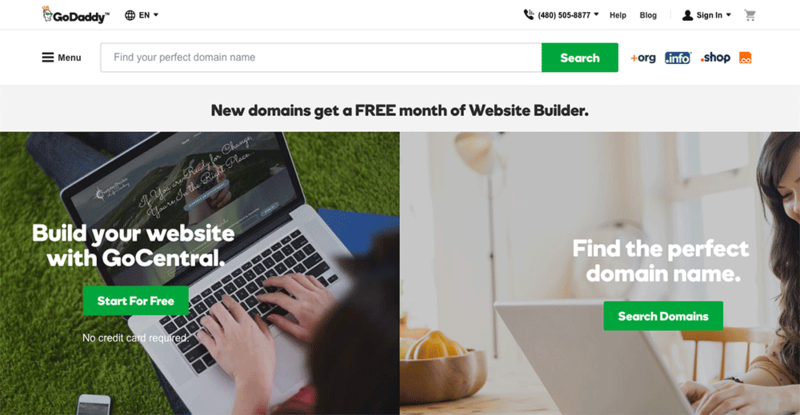 Check out our lesson: Linking your Domain with Your Hosting. Finally, once your site is ready, it's time to create content for it. The content you create must be relevant to your niche but also interesting and engaging enough to keep your audience coming back. You should also ensure the site content is search engine-friendly. More details about content creation in Step 4. How to Structure Micro Niche Websites? This is where the overused but truer-than-ever phrase “content is king” comes into play. Your goal for your site will be to establish it as an authority site in your niche, and the main way to do this is to consistently produce unique, high-quality content. Your affiliate site model could be based off writing reviews about different products or services. This is a common model and if done well, can prove very useful in generating affiliate income. Blog posts that address common problems, questions or issues relevant to your target market. For example, Security Guard Training HQ has a very extensive blog on a variety of topics relevant for anyone interested in security guard training, jobs and more. A good example is DatingMetrics, where you're tempted with a Free Texting Crash Course in exchange for your email. The real marketing will begin once the user has downloaded this course. The type of content you create for your website will largely depend on your niche, as certain types of content perform better in some niches than others. What is the Current Google-Friendly Article Blueprint? Promote your content via social media. I'll use MoneySavingExpert.com as an example again. The site has over 154,000 likes on its Facebook page and it connects with the audience by sharing links to content but also asking money-saving/budgeting related questions. 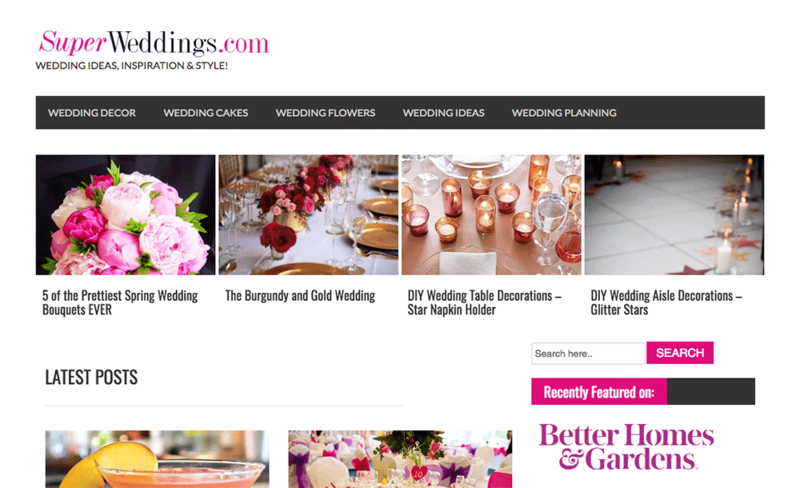 The highly engaged readers then visit the website, where they read content and no doubt make purchases. Guest post on high-traffic blogs. Use basic SEO techniques to increase search engine traffic to your site. Organic search remains an important source of traffic for any website, so it's important that you optimize your website for search engines as well. When creating your content, you must always do so keeping the reader in mind first, but don't forget to follow a few basic SEO principles as well. Finally, the part we’ve all been waiting for! This, my friends, is where things really kick into high gear. Many fly-by-night affiliates will jump right to this step and bypass steps 1–5 completely. And this is what will set you apart. Once you’ve shown that you can offer something of value in your niche, it’s time to continue adding value by promoting products that will be useful and helpful for your audience. Write honest, real reviews about products. Build up trust with your audience, and remember that they rely on your opinion. Don't just point out all the positives of a product and gloss over the negatives. An honest opinion will be valued. Add compelling images and make mention of useful features, specifications and other details. Your product review can then link to the page (with your affiliate ID attached), where your audience can make a purchase if they're interested. If do, hooray! You've made your first sale. Below are some examples of banners that Templatic provides to its affiliates. How Many Products to Promote in Each Website? Now that you're done with Steps 1 - 6, Step 7 is simply to keep doing what you're doing. Yes, seriously! Your ongoing work as an affiliate marketer will be to repeat steps 4 - 6 on a continual basis. Building a site up to a point where it can make you consistent income takes a bit of work and you must be willing to constantly create, promote, market, innovate and of course, sell. As you can see, there is a tried-and-true strategy when it comes to affiliate marketing for beginners. Put in the work, and you’ll soon be reaping the rewards of your first sale. Do you feel overwhelmed about making that first affiliate sale? What’s holding you back from getting started? Let us know in the comments below and we'll be happy to help. I don't understand how to build an audience please hep?? I suggest reading through tutorials by the SocialMediaExaminer.com. They have a lot of tutorials on their website on how to engage users in social media. How do you get paid and where do you pay ure tax of invome when selling on the web to different countries? Do you mean having several different affiliate programs in one website? If so, that is fine, as long as the affiliate programs are related to, or belong to the same niche. Loved to read the complete article. A really nice way to understand easily. Keep it up the good work.Thanks.!! good tips about affiliate marketing.. brilliant tips.. really useful for beginners like me. Thanks you so much admin for sharing nice and wonderful Post. Great tips. I have one question that I use Google AdSense on my blog. So, Will it look full of ads. after using different sources of advertises. So what would you suggest regarding this? It's best to keep the ads on your website to a minimum if you're doing affiliate marketing on it so as not to lead your site visitors away from your affiliate offers. Hope that help. All the best! It's best to have a website dedicated to affiliate marketing, but it's not necessary to make it into a blog. 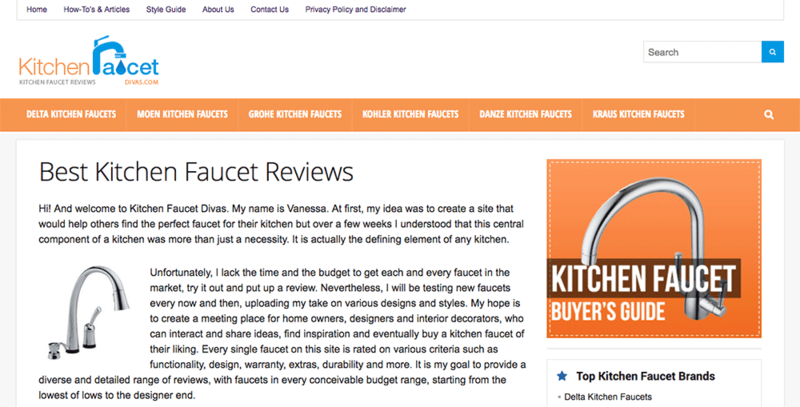 It can be a review website, or an informative website about your niche. An e-commerce website is different from an affiliate marketing website though, but if you want to make your website look like an e-commerce site that contains affiliate products, then by all means. Our free lessons will help you get started. I was planning to start but not getting proper mentor but your article inspired me to do right away. So i contacted few of affiliated sites. lets see... what going on next... thanks for sharing this article with us. Thank you so much for the Step by Step Guide. Affiliate marketing works wonders when your audience trusts you. Hence, posting quality content on your blog that actually helps people is key. Thanks I've been learning and doing for a while and i followed the website linked, I found building an audience to be the hardest part, but if you keep on trying eventually it will be successful. I'm now making over 5-didgets a month. thanks for this very nice information. looking forward to affiliate in this business. Thanks for sharing these amazing tips. I think Affiliate Marketing is learning the new way to make money every day and when you are up with the best tactics, it helps to generate the multiple incomes. Is this website outdated because the last comment was over 4 years ago? Our free lessons can be considered dated as they were originally published several years back, but they do remain relevant. The lesson above covers the steps you need to take to get started in affiliate marketing, and the process remains current to this day. You would need webhosting and domain registration to get your website up. The domain registration usually costs around US$10 to US$15 a year while the webhosting will cost you around US$10 or less a month. There are domain registration + hosting packages from popular webhosts llike GoDaddy and Namecheap you can try. Solo ads and other paid methods to promote and get traffic to your website can cost you around US$100 or more. The good thing is you have control of this. You can keep within a budget that works for you. There are free methods to getting traffic to your website so you don't have to rely too much on the paid ones. Kindly guide me i am beginner, how to get traffic on my blog.my blog is related to affiliate sale. Excellent step-by-step guide for affiliate marketing starters. Thanks for sharing it. 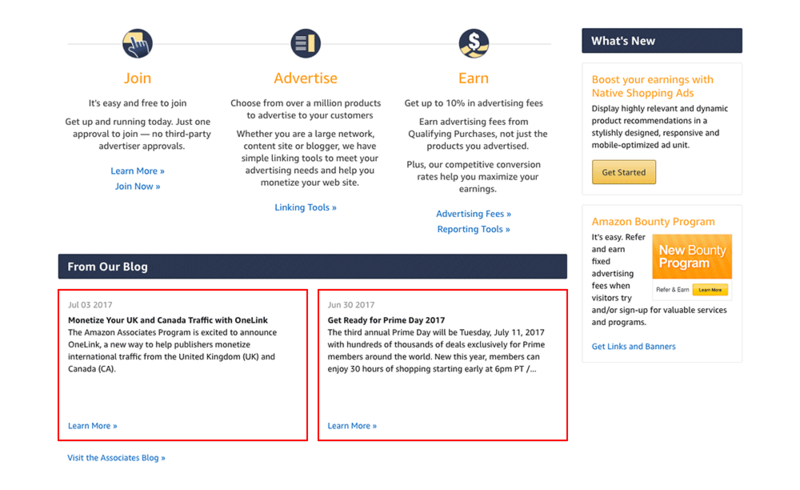 Is it good for the new blog to start an affiliate program? Yes, a new blog can be used for affiliate marketing. Continue to add valuable content on the blog and promote it to increase readership/following all the while posting your affiliate links on it. Hey, great post with lots of great information. I'm still new and am putting my efforts into producing content and building an email list. I'm focusing on free traffic at the moment, what is a good way to promote my blog post for free? Wow! I have been reading your blogs for 40 mins. Well describe. I'm running a digital marketing firm, I would like to invest for affiliate marketing too. Your post really motivated for me. Thanks! I was wandering if there is any website helpful for the Indian affiliate marketers. Please tell me in detail for how should I start my affiliate marketing business in India. I've already tried few websites like Rakuten and CJ, but I got rejected by them due to some reasons. I'll address you to the list revglue com/free-wordpress-plugins you might be able to suggest me something. There is no one great recommendation out there as far as affiliate marketing plugins and networks are concerned. Much of it really is trial and error as you find which ones work the best for you. Revglue looks like it's a good place to start. I've only gone over their website though. I suggest you check out the reviews to see if they are any good. Do you have any Personal Experience that Affiliate Programs, PAY? Or just this is fake program to, I mean the company tell us to Promote their product and do not pay to us? I understand where you are coming from. There some dubious affiliate networks out there so it's best to stick with the more popular ones that are backed by reviews coming from other affiliate marketers. ClickBank, ShareASale and Commission Junction are few of the reputable affiliate networks out there. How to promote affiliate product with free of cost ? Very interesting and useful content.Anybody can join affiliate programs but it is really important to do your behind screen activities to prepare yourself.You have covered all important steps required right from choosing a niche to building a website and marketing. One of the most important parameter you have covered is content generation as here is where your real customer is going to search for you.So a niche which is content rich will really help you.This I think is by far the heart of any affiliate marketing. Thanks for a lovely content. Can I start with a blog for now since I cannot afford a website now? Most people get intimidated because buying a domain name and the like. Secondly, its unfortunate that Clickbank do not have Kenya in the country place. but i never paid for these courses and i dont want to be scamed, i really want learn about affiliate makreting business but i dont know where to start. please hepl me! Amazingly detailed information about sales, containing a clear breakdown of your store’s data. Thanks for the info. Nice breakdown and easy learning for beginners. Great info package for beginners! Still would like a little more info about how the payments transfer from customer to you through a third affiliate party. ClickBank, the affiliate network which we are part of, acts as payment processor too. The customer buys through them, we get the payment, and ClickBank sends any commission due to the affiliate who referred the customer to us. Awesome article! This is jam-packed with great info. I have started a blog and getting many visitors on my targeted posts but they don't convert. Please let me know how can I convert my visitors to buy products. I suggest going over your content on the pages where you get a lot of traffic. What kind of content do you have there? Is it a review, and if it is, does it persuade the reader to try the product? Is it an informational article, and if it is, does it contain enough information to convince readers to buy? Make sure that the webpage where you get most visits is properly monetized so you can convert that traffic to sales. It's best to get in touch with a local legal advisor or accountant in your area as lwas, tax laws in particular, vary from country to country, from one state to another. Woow...I am so excited about this article and it is cristal clear to me as a biginner..Well explained with examples.Thank you.